Do you ever feel like you aren’t living life and building wealth to your fullest potential? Most of us aren’t. So how do you change it?! It all starts with finding your true “what”. Discovering your “what” will drive you to achieve everything you have always dreamed for yourself, and live with passion and purpose. It’s how you can go from meandering through life to waking up with the fire to make millions doing what you love, and doing it. However, you have to be extremely clever and calculated about your financial strategy, and not leave any of the gaps open that most people don’t even know they’re missing or doing wrong. We highly recommend you jump on a free Gap Analysis strategy session with an expert from our team. 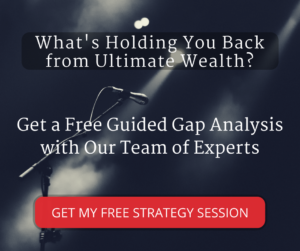 This conversation will help you see the gaps in your wealth building that are holding you back, and lay out a money plan so you can dive head-first into generating ultimate wealth from your passion. Then, you can follow these steps to find clarity, live with purpose and build transformational wealth. Everyone has a core gift inside them, but few people actually take advantage of it. Why? They don’t take the time to understand their gift. You need to identify what your gift is and how to deliver it to the right audience. Your first step is to self-reflect and discover your gift – whether it’s communicating, teaching, entertaining, healing, or something entirely different. Next, you have to leverage your core gift with a primary vehicle. For example, a successful healer might deliver their gift through massage therapy. The third and final piece of the puzzle is to find an audience to best serve your gift. This powerful, simple framework will give you everything you need to hit the ground running and pursue your passion. People often hit a large amount of roadblocks on their path to multi-millions. One of the biggest roadblocks is trying to understand your “why” before your “what”. In other words, people get so caught up in finding their purpose that they aren’t taking action. 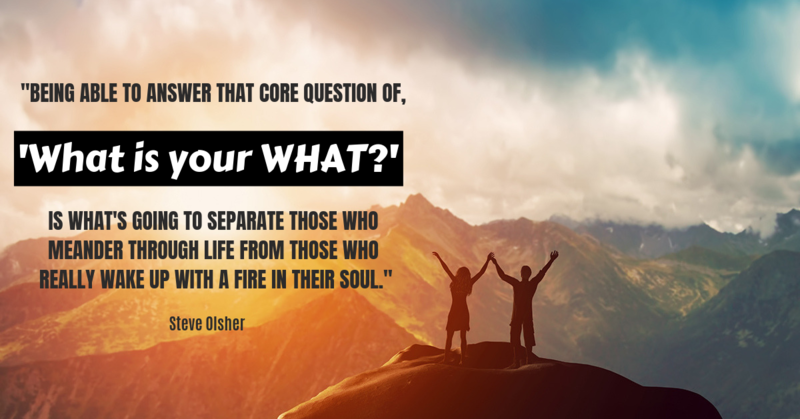 While it’s important to know your “why”, it’s even more critical to understand your “what”. That is, the things you can do today to pay your bills and hit your wealth goals. Your “what” is ingrained in you – it’s the things inside you that wire you to excel. Your “why”, on the other hand, is something that you choose. This is your motivation for success, whether it’s providing for your family or gaining financial independence. Don’t limit yourself by delaying action. Evaluate what skills can make you money today. Once you take your first steps, you can discover your inner drive. You might think you’re ready to jump right into your passion. The reality is, however, that you can’t fully commit to your passion until you have financial freedom. For example, you don’t have to give up your dream because you have a day job. Instead, you can invest your time instead of spending it. Put your extra time directly back into pursuing your passion. Whether it’s getting up early or utilizing your commute time, there are always extra hours in the day to be productive. Tip if you have a day job: Start creating an offering to get paid for your passion. The success of a business and the revenue it generates is a direct reflection of the number of offerings. The more chances you have to get people to buy, the more you’ll get paid for your “what”. Eventually, you’ll start making enough that you can cut the rope on your day job and commit fully to your passion. Getting started on the right path is the hardest part. Take these first steps to kickstart your transformation to generating ultimate wealth doing what you love. By investing in yourself and your passion, you can start living the life you’ve always desired.